Thought I'd share a conversation I overheard on my commute earlier this week. Two people were chatting, one says, "there was a two for five dollar special on Apple Jacks at the drug store, I'm having that for dinner." The other responds, "that's unhealthy." "It's got apples and cinnamon." With shock, the other responds, "it's filled with sugar." "The cinnamon counteracts the sugar." I'm a supplement person, so I take a few horse pills a day of vitamins. There is marketing materials out there about cinnamon helping control blood sugar. I haven't researched it, but I've read about it. So I'm shocked at the, "it's got apples and cinnamon" comment, but it gets better. The conversation turns to diabetes and blood sugar along with how doctors potentially get incentives to push certain drugs. Interesting how advertising is digested. 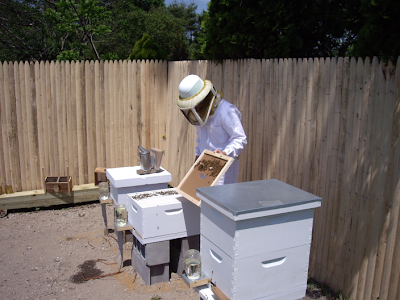 Anyway it's the weekend, off to check on the other queen bee. 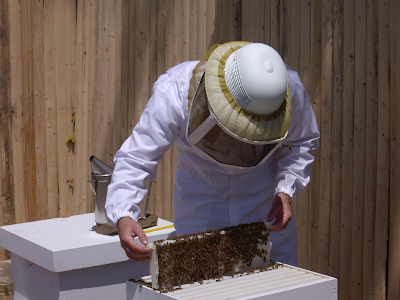 Sunday was a beautiful day and a perfect time to see if the queen bees had been released. 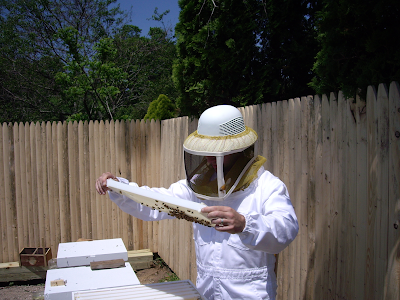 With smoker in hand I checked the hives.